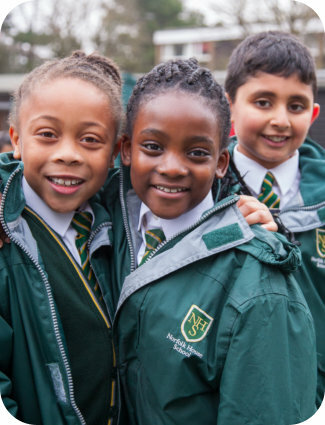 Our ethos comes from what we believe in – passionately: that each child is an individual to be nurtured; that a happy and caring environment is the bedrock of a child’s development; that good manners and respect for others are values which should never be compromised; that working hard and playing hard go hand-in-hand; that cultural and religious diversity is to be celebrated; and that education is an exciting, life-long process which starts with us here at Norfolk House School. ● to understand the importance of manners, respect for each other and the value of working and living together productively. ● to maintain an environment in which children are safe, happy and motivated. ● to encourage mutual respect, tolerance and understanding.